The family of a Christian boy beaten to death on his second day in secondary school have accepted the offer of compensation from the family of the accused. The Islamic concept of paying diyat (blood money) to the victim’s family allowed the suspect to walk free. 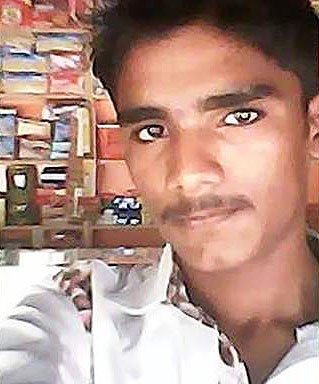 Sharoon Masih, 17, was beaten to death in a classroom at MC Model High School in Burewala, Punjab province, in August 2017. Fellow student Ahmed Raza was arrested and jailed for the attack, but later released on bail after a court said there was “no clear evidence” connecting him with Masih’s death. Khurram Shahzad Maan, Executive Director of the Organisation for Legal Aid, an affiliate of the European Centre for Law and Justice, told World Watch Monitor that Pakistan’s government revises the amount fixed for diyat every year. “This year it is fixed at 1,935,594 rupees (US $17,000), while the family was offered 1,550,000 (US $13,500), which they have accepted,” he said. In April World Watch Monitor reported that the alleged killers of Arsalan Masih, 16, had compensated his family with three million rupees – a sum higher than the amount fixed by the government. The outcome was described as a “rare victory” by a lawyer working for the Masih family. Masih’s mother Razia Bibi told World Watch Monitor that they had forgiven the suspect because even his hanging would not bring back her son. “It is a lifelong wound that we are to live with but we hope that Ahmed would realise what terrible wrong he has done to us,” she said. Sharoon Masih was on only his second day at MC Model High School in Burewala, when it was alleged that classmate Raza Ahmed attacked and killed him, on 30 August 2017. Pakistani media reporting the case alleged the behaviour (and possible negligence) of school staff contributed to Masih’s death. His mother said Ahmed had stopped her son from drinking water two days before his murder. 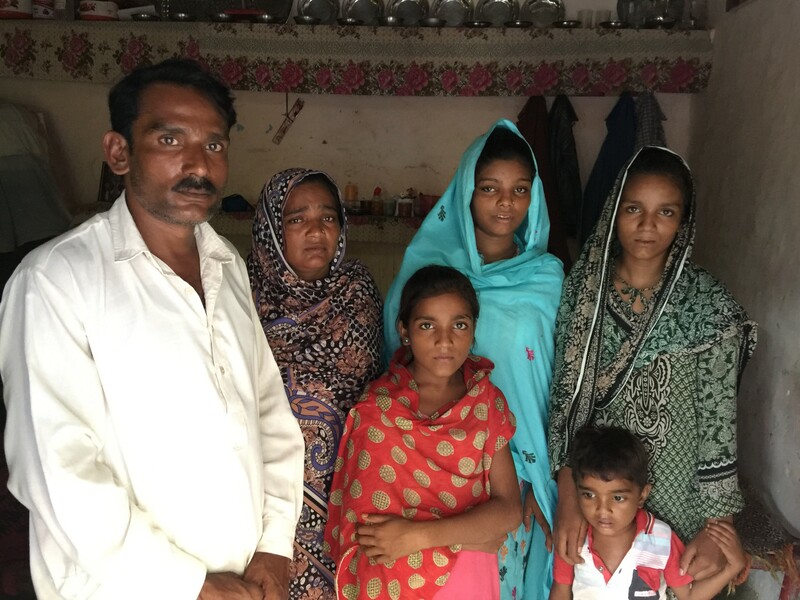 Pakistani Christians are often treated with contempt, compounded because many come from a downtrodden “untouchable caste” with whom some Muslims refuse to drink and eat. Deputy Superintendent of Police Javed Tahir Majeed was one of the three senior police officers investigating Masih’s murder. He told World Watch Monitor at the time: “Sharoon’s classmate, Sabir Ali, told us that Sharoon was sitting at the back of the classroom. When he got up to walk through the benches, Raza sprawled his legs out to block his way, telling him he could not go out. When Sharoon tried to get past Raza’s legs, Raza started to beat him up. Sabir tried to intervene but Raza beat him up as well. Masih had just started at the High School in Burewala, after completing lower education in his village. District Police Officer Umar Saeed Malik, who visited the family, told World Watch Monitor that, as it was only Masih’s second day, it was less likely that there was any issue of a Muslim-Christian conversation. According to Malik, Ahmed alleged that on his first day, Masih had broken the screen of a mobile telephone that Ahmed had brought to school. However, police investigations proved the screen was already broken. “Probably Raza was pressuring Sharoon to extract money by bullying him,” Malik said. Sharoon Masih’s father, Ilyasab, told World Watch Monitor in September that on his son’s first day, the teacher wouldn’t let his son attend as he wasn’t wearing the right school uniform and even slapped him in front of the class. “Sharoon told his mother that students hated him because of his religion and he was not comfortable to go to school,” he said. Deputy Superintendent Majeed said eyewitnesses confirmed that Ahmed kicked Masih in the stomach. “We have seen cases where a little beating can result in death, so it’s quite plausible a hit in the belly resulted in death,” he said. The autopsy noted that “no sign of any physical trauma was seen on the body”. A chemical examination of internal organs had not been conducted at this point. Ilyasab Masih said he did not know whether there were marks of violence on his son’s body. The boy’s killing heightened fear among Pakistani Christians. Sub-inspector Kashif said there were at least 24 Christian students in the school at the time; Deputy Superintendent Majeed said school staff told his team there are 47. One staff member was also a Christian. Open Doors’ 2018 World Watch List – of the 50 countries in which it is most difficult to be a Christian – places Pakistan at number 5. The 2011 Pew Research Centre’s ‘Rising Restrictions on Religion’ report characterises Pakistan as the third-least-tolerant country to religious diversity, while another Pew report, ‘Common Concerns About Islamic Extremism: Muslim-Western Tensions Persist’, says that only 16 per cent of Muslims in Pakistan hold a positive opinion of Christians.